The main conservation issue of the Diocletian Baths is related to the static of the ancient buildings, and to the heavy car and bus traffic around them (including two underground lines passing nearby). However, the Roman brickwork is also threatened by air pollution, heavy rains, winds and thunderstorms, which are becoming more and more frequent in the area. The presence of the surrounding gardens also increases the risk of fires, especially in case of thunderstorms. Besides that, the tall timber trees have already fallen on the Museum buildings. Floods are also a parameter that threats the site due to the remarkable raising of the planking level in the last three centuries and to the presence of underground rooms. 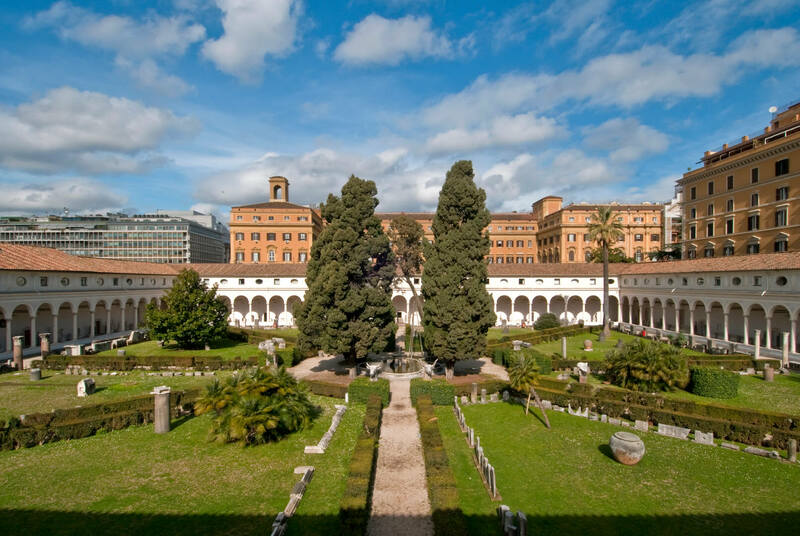 These risks do not affect only the buildings themselves, but also the objects which they contain being seat of the National Roman Museum: marble sculptures and inscriptions, pottery, bronzes, paintings, stuccoes and mosaics. The technological concept for the site of the Diocletian Baths is to demonstrate the usage of non-intrusive sensors in order to monitor the various risk factors. This approach aims to measure and inform stakeholders of the state of the heritage site in real time. Buildings (ancient, modern and contemporary). Objects of different materials (marble, stucco, pottery, etc. ).